Composer Jack Waldenmaier enjoys a dual career in both music composition and music production. He is currently writing Year Music, subtitled “Berio et al”, his most ambitious project to date, which will receive its world premiere performance in Dallas during the year 2012. “Year Music”, as the title implies, takes one year to perform and will involve the active participation of more than one thousand musicians. The continuous one-movement composition whose performance will be “visited” by the audience over the course of the year may be considered as much an installation as a concert. The work is made possible by a generous anonymous commission. Jack Waldenmaier was born in Cleveland, Ohio and began his piano and music theory studies at age three, first with his mother and then with Bach scholar, Marion Plumber. He went on to study with composer Lukas Foss at The University of Cincinnati’s College-Conservatory of Music where he earned a Doctor of Musical Arts Degree in 1981. Dr. Waldenmaier then joined the faculty of Southern Methodist University’s Meadows School of the Arts as a professor of music theory and composition. Currently he serves as President of the Board of Directors for Dallas’ new music ensemble, Voices of Change which performs predominantly the music of living composers. He is also President and Executive Producer of Music Bakery Publishing (BMI) a leading royalty-free production music library in the United States, producing music for film and television, corporate image campaigns and commercials with distribution worldwide. 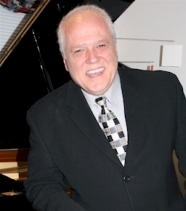 His awards include the Raymond Hubbell Prize in composition, awards from BMI and ASCAP, commissions from the Bari Symphony, Italy, the Ohio Arts Council, the International Society for the Double Bass, the Voices of Change Modern Music Ensemble, Paul Kowarsky and Emanar Productions, Southern Methodist University, the Dallas Civic Orchestra, the Contemporary Music Ensemble, the Gardner Dance Troope, the Dallas Shakespeare Festival, among others.